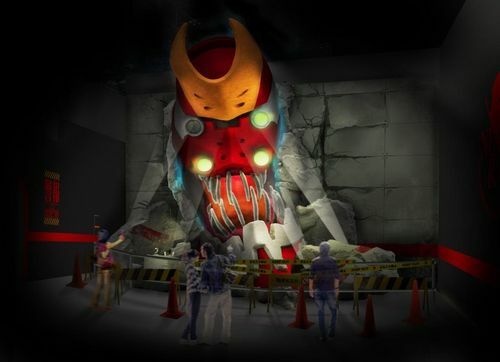 Last year, the Fuji-Q High Land amusement park in Fujiyoshida, Yamanashi prefecture, Japan, near mount Fuji opened an Evangelion themed attraction called Evangelion: WORLD and among the top billed features was a life-sized bust of Evangelion Unit-01. It looks like they’ll be working on a similar life-sized bust of Evangelion Unit-02’s “Beast Mode” expected to open around March 19th and it will also feature a life-sized Mari Makinami. 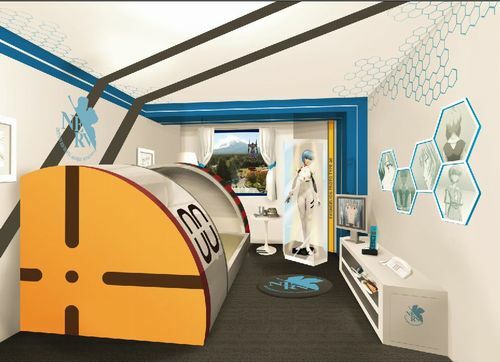 Similarly along the Evangelion theme, there’s going to be an “Evangelion: ROOM” at the Highland Resort, Hotel and Spa that’ll feature Evangelion themed rooms. No idea if they’re actually going to look like that picture, though.